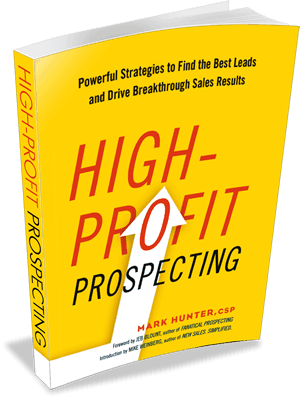 Whether you team is discounting too much, struggling to implement a price increase or facing other pricing challenges in today’s economic landscape, Mark Hunter, CSP, “The Sales Hunter,” is the foremost thought leader in helping organizations eradicate poor pricing behavior and drive top line and bottom line profits. Discounting your price is not a sustainable strategy. In fact, it’s not even a viable quarter-end strategy. Companies and sales teams that have relied on price discounts to close deals too frequently. Perfect for sales teams that operate in a commodity or price sensitive type of industry. Excellent for associations that have members in commodity or price-sensitive types of industries. Great program for audiences that work globally and have to compete in a wide number of global markets where price is viewed differently.